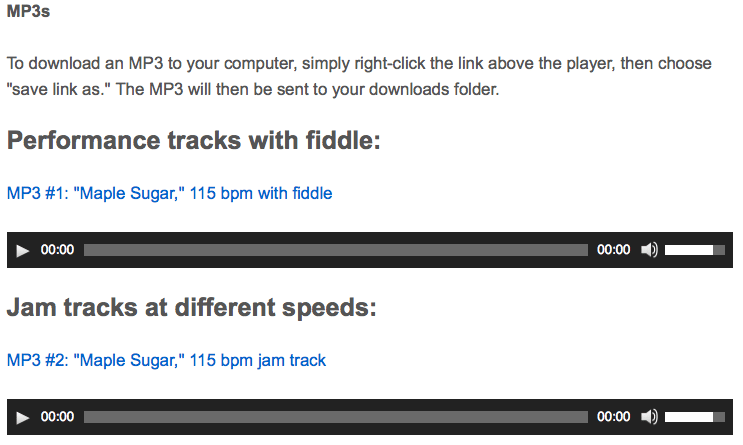 This is an online fiddle lesson for the old time tune "Maple Sugar" by Ward Allen. 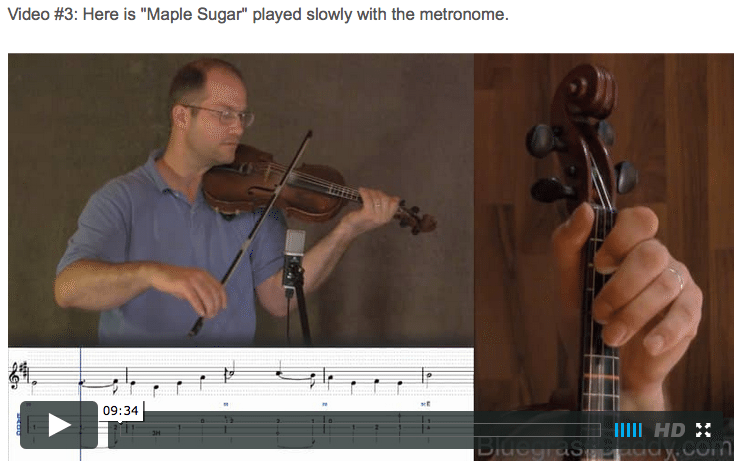 Video #1: Here is a video of me playing the fiddle tune "Maple Sugar." " Misoprostol without a perscription buy viagra melbourne australia Maple Sugar" is a fiddle tune written by Canadian fiddler Ward Allen. Ward Allen was born in London, Ontario May 11, 1924. He began fiddling at the age of 12, often performing with his brother Lorne, from whom he learned much of his repertoire. After working as a harvester in Manitoba and as a logger in British Columbia, he returned in the late 1940s to western Ontario, where he was heard on the CKNX Barn Dance from Wingham. He won several competitions at this time, including the open class of the 1953 Canadian Open Old Time Fiddlers' Contest. He toured Canada with Wilf Carter 1954-6 and in 1958 and performed in Ottawa with the Happy Wanderers 1955-64on CFRA radio and 1964-5 on CJOH TV. Allen began recording for Sparton in 1954, completing three volumes of Ward Allen Presents Maple Leaf Hoedown (SP-203, SP-210, SP-213), posthumously reissued in part as Best of Ward Allen (2-GRT 2230-1031). His recording of his own Maple Sugar was a hit in Canada and the USA in 1957. The tune, considered a classic of the Canadian fiddle repertoire, has also been recorded by many other performers. 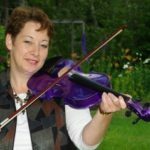 Posted in Canadian, Intermediate	Tagged with: "Maple Sugar" "Ward Allen" "old time fiddle lesson" "bluegrass fiddle lesson" "online fiddle lesson" "Bluegrass Daddy" "John Cockman" "Canadian fiddle"
This topic contains 20 replies, has 8 voices, and was last updated by cricket 3 years ago. 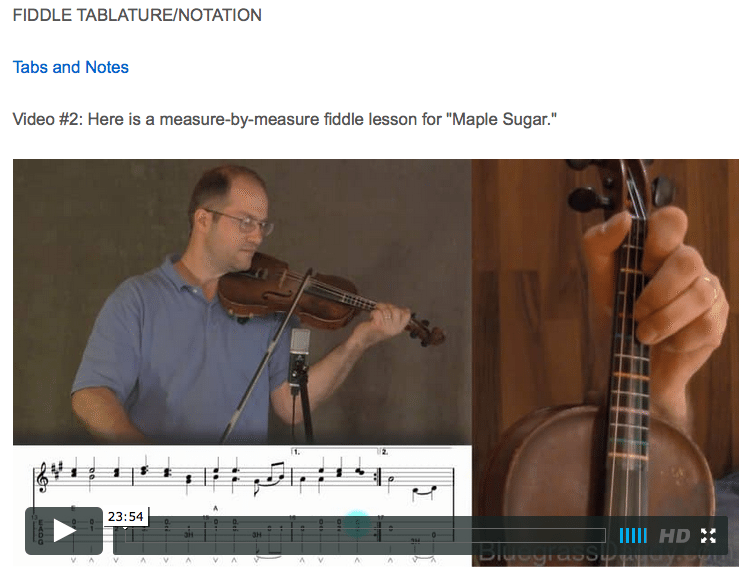 A lesson for the much-requested Canadian tune “Maple Sugar” by Ward Allen. Very nice John, good job! 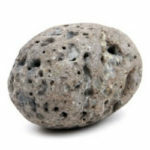 John, I remember when Gu posted this song. Gu was involved in collecting maple sugar. I’m so happy that you arranged it so beautifully for us. I think it’s impossible to be unhappy when you are listening to this song! Justine, I agree. This is a very happy tune. I taught it to my fiddle campers tonight and it was a very big hit! Gu, I’m glad you enjoyed the tribute. 🙂 I can’t wait to hear you play this one! We are still thinking of little Beatrice and I’m glad she is out of the woods, so to speak. Here’s to a swift and safe return home! Gu, looking forward to the DEN !!!!!!!! It’s a wonderful arrangement…lots of double stops but John has arranged them in such a way that’s it’s reasonably easy to play them. I read that Ward Allen didn’t play a lot of double stops in his fiddle music except for a few of his songs. A while ago, I found a simplified sheet music version of this song which lacked the double stops. John’s arrangement is so good! Thank you, John! You are really good at this. 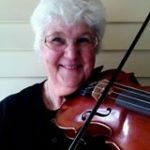 Your fiddle music will undoubtedly come back Gu when you are away from hospital worries and can warm up and practice in your own home. Thanks Kaeleigh, Justine, and all. I hope you enjoy the tune, and I’m happy about Beatrice’s progress news. Simple and bouncy make it sound so simple, but it sure is a doozy double trouble stops and all, got to adjust the bowing tension and try to keep it tuned . John , your sweet like my syrup , I m glad I get to spend an hour a day with you again, learning and playing. Just got through 4/4, woooohoooo, it s much more simple then I thought in the comment above and only about 4hours ago, I was lucky to have the time to look forward into th lesson , wow Ward ! You were super nice to us , it repeats itself and now that I really understand the up a 5th John , I will be practicing everyday. ? It s a must for a fiddler like me helping to making 75times 45gallon barels per season! Gu, you need a little sweetness after a long day in the garlic. 🙂 It is nice that Ward does so many repeats for us. I love this song! I’m suddenly feeling very Canadian! No kidding! This song makes me want watch CBC and drink Tim Horton’s. Plus, I’m ready to tap trees and boil down some syrup! This tune is like being instantly transported to the north!